This General Tso Chicken Crock Pot is all about taking a classic recipe and making it even better! Crispy fried chicken pieces cooked with a sweet tangy sauce – totally addictive and so much better than takeout! 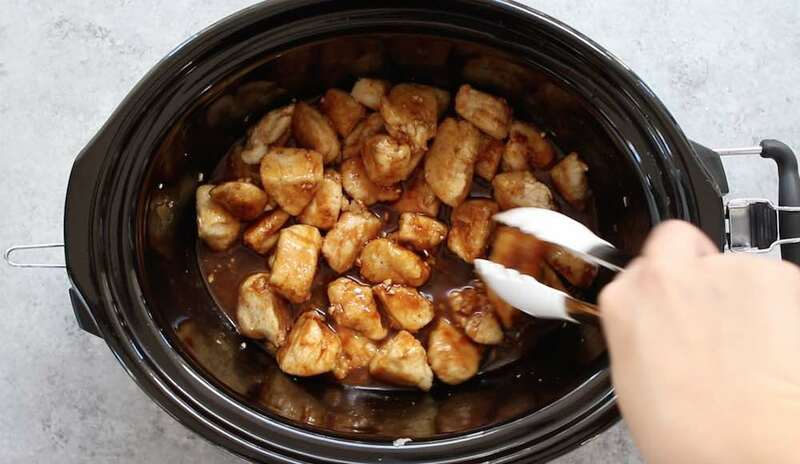 General Tso Chicken Crock Pot is the slow cooker chicken version of our popular 20 Minute General Tso’s Chicken. 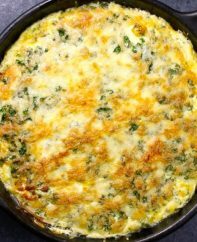 It takes less than 15 minutes of preparation and is a perfect weeknight meal for the whole family. This recipe is one of my favorite Asian chicken recipes along with Chicken Pad Thai, Chinese Lemon Chicken, Sticky Honey Garlic Chicken, Teriyaki Chicken and Chicken Moo Goo Gai Pan. What is General Tso’s Chicken? 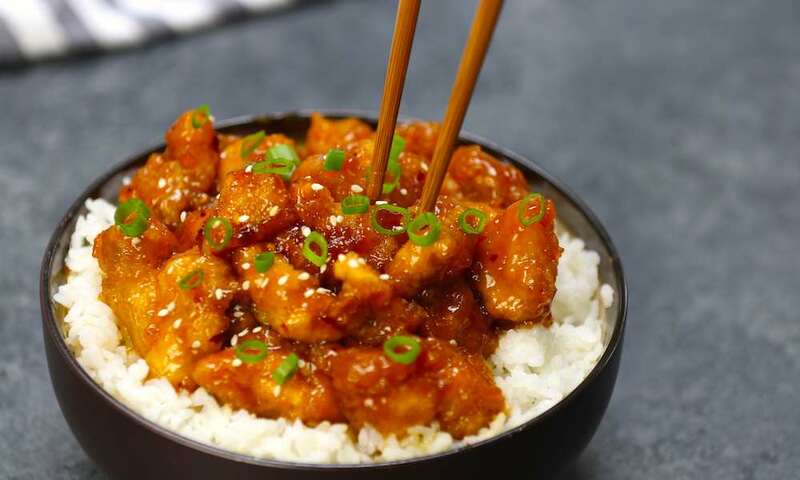 General Tso’s Chicken, 左宗棠鸡 (Zuo ZongTang Chicken) is a Chinese dish where chicken pieces are fried to golden brown, and then tossed with sweet and tangy General Tso’s sauce. It first appeared in New York as a Chinese-American dish in the 1970s and has been popular ever since. While it’s widely known in America, most people in China are not aware of this dish. 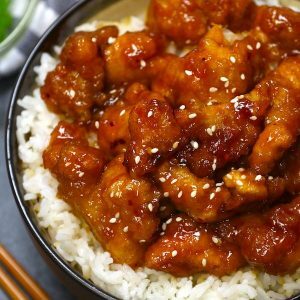 How to Make General Tso’s Chicken Crock Pot? Start by cutting boneless, skinless chicken breasts into 1-inch cubes. Unlike the traditional deep-fried version, this slow cooker version applies a thin breading to the chicken cubes. All you need to do is to mix the chicken with salt, pepper and cornstarch in a ziplock bag. In a large skillet or wok over high heat, sauté the chicken cubes. Cook the chicken in two batches so that it’s not too crowded. Once the chicken pieces turn golden brown, transfer them to the crock pot. Note: You can skip Step 2 and 3 if you are in a rush. These two steps will make your chicken slightly crispy on the outside and more tender on the inside. Add the garlic, hoisin sauce, soy sauce, rice vinegar, honey and water to the slow cooker. Then cook for 4 hours on low heat. You may want to cook rice separately at this time too. Once it’s done, toss the chicken with the sauce. Garnish with sesame seeds, sliced green onions and chili peppers. 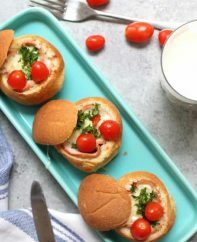 Serve with rice and broccoli. Note: if your sauce is not as sticky as you want, add 1 tablespoon cornstarch and cook on high until the sauce thickens up. Browning the chicken cubes in a skillet will make your chicken slightly crispy on the outside and tender on the inside. Before taking your chicken out from the slow cooker, do a taste test! Add more sugar, or rice vinegar to your taste. If the sauce is not as thick as you want, add more cornstarch and cook on high to thicken it. Hoisin Sauce: Hoisin sauce helps to achieve the authentic General Tso Chicken flavor. You can find it at your local Asian grocery store or order online. Rice Vinegar: I bought mine at local supermarket. If you cannot find substitute it with cider vinegar or white wine vinegar. Standard size slow cooker or crock pot like this one will work fine for this recipe. Set it at LOW and cook for about 4 hours. How Can I Get Crispier General Tso Chicken? Slow Cooker General Tso’s Chicken is less crispy than what you’ll find at your favorite restaurant. To make it extra-crispy, deep frying is the best approach. Just marinate chicken pieces with eggs or sauce and then coat with cornstarch, you can follow the steps in this recipe. Deep fry it by heating 4 cups of oil in a deep-fryer or saucepan to 375°F. Add chicken cubes into the oil in batches, and cook until they turn golden brown. This way, you will get extra-crispy General Tso Chicken exactly like in a restaurant or takeout. 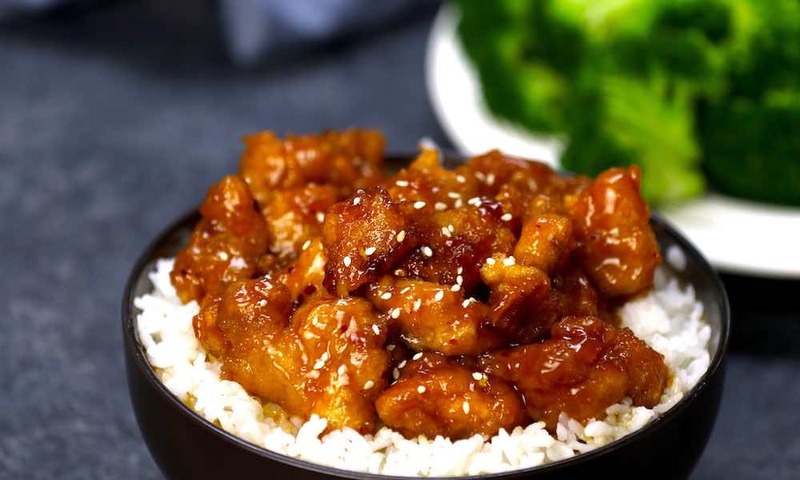 General Tso Chicken Crock Pot is all about taking a classic recipe and making it even better! Crispy fried chicken pieces cooked with a sweet tangy sauce – totally addictive and so much better than takeout! 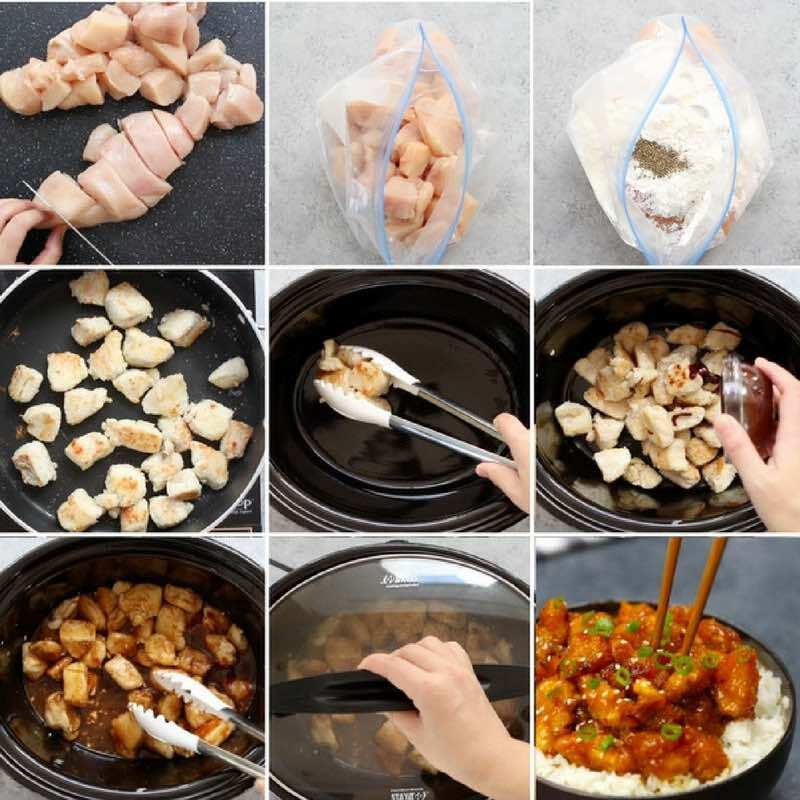 Slice chicken breasts into bite size pieces and place in a large ziplock bag with cornstarch, salt and pepper. Shake until coated. Place a large skillet over medium-high heat. Add 1 tbsp vegetable oil and half of the chicken pieces to the pan, shaking off excess cornstarch. Fry several minutes until lightly golden, and add all the browned chicken to the slow cooker. Repeat for the remaining chicken. Add the garlic, hoisin sauce, soy sauce, rice vinegar, honey and water to the slow cooker. When ready to serve, serve chicken with optional red pepper flakes, green onions and sesame seeds. Enjoy! Note: if your sauce is not as sticky as you want, add 1 tablespoon cornstarch and cook on high heat for a minute or two stirring constantly until the sauce thickens. Editor’s note: Originally posted 1/16/2017 and updated 2/3/2018 with additional details. 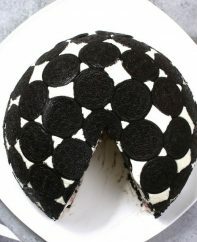 I love your recipe for this but I was looking for a ver simple recipe. Appreciate your recipe for my favorite Chinese dish!